CONFESSION: WE HAVE A FLORAL FETISH. 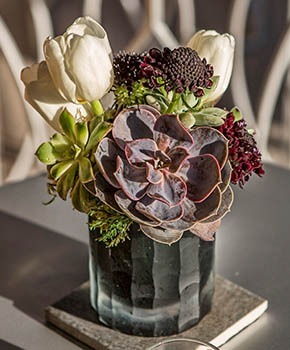 From traditional to modern and understated to extravagant, our Floral Artists are fluent in the language of flowers. We pair fresh and textural blooms with glossy foliage, unique containers, and shimmering candlelight to tell your unique story.